A routine Friday like any other was thrown out of gear for internet users in the US and parts of Europe in October when hackers disrupted access to some of the world’s best known and widely used websites such as Twitter, Netflix, PayPal and others. The fact that the outage seemed to have been initiated with simple internet- connected devices made it all the more astonishing. Hardly a day goes by without an alert of a new breach in the cyber world, and the issue is turning more real with cyber security finding a top spot on any CIO’s agenda. Matt Suiche, founder of the UAE-based Comae Technologies, explains the importance of digital security by drawing attention to the testimony delivered in 1998 by hacker group L0pht to a panel of senators in America. L0pht spoke about how unsafe the use of computers were, and how easy it was for anyone to cause disruptions with it. “Now, almost 20 years later, the risk is still present and almost nothing has changed, even though we [have] witnessed different cycles of innovation,” Suiche says. It is this need for advanced digital forensics capabilities in today’s “smart” world that led Suiche to the UAE in early 2016 to create a forensic product for law enforcement and enterprises to investigate cyber incidents. 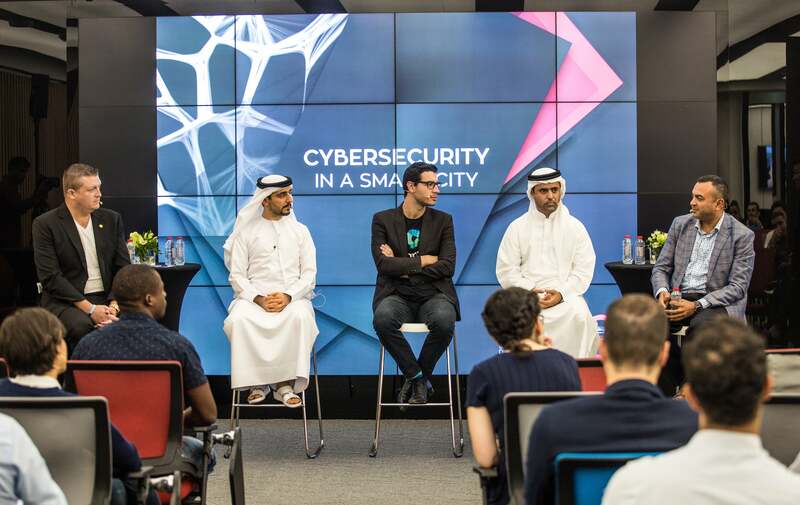 A panel on cyber-security at Dubai Future Accelerators.Image credit: Comae Technologies. Comae thus works on developing endpoint detection and response software that will help identify threats in both law enforcement and enterprise settings. While law enforcement agencies can monitor system activities and gather memory data using its digital forensic capabilities, enterprises can use Comae’s products to understand the entire trail of how a cyber-attack occurred and mitigate the damage. Comae has another segment as well, which focuses on advisory services thereby functioning as an “active discovery” for its developing products. Given that the enterprise is still finding its feet in the MENA market, it recently launched a range of free cyber security tools on its website, which was aimed at “raising the profile of Comae as a company and leader in cyber security technology.” The strategy seems to have paid off- Suiche reveals that the company saw 1,000 downloads of its offerings after only a few weeks. Related: Opportunities for UAE SMEs in 2016: Are You Ready For Expo 2020? 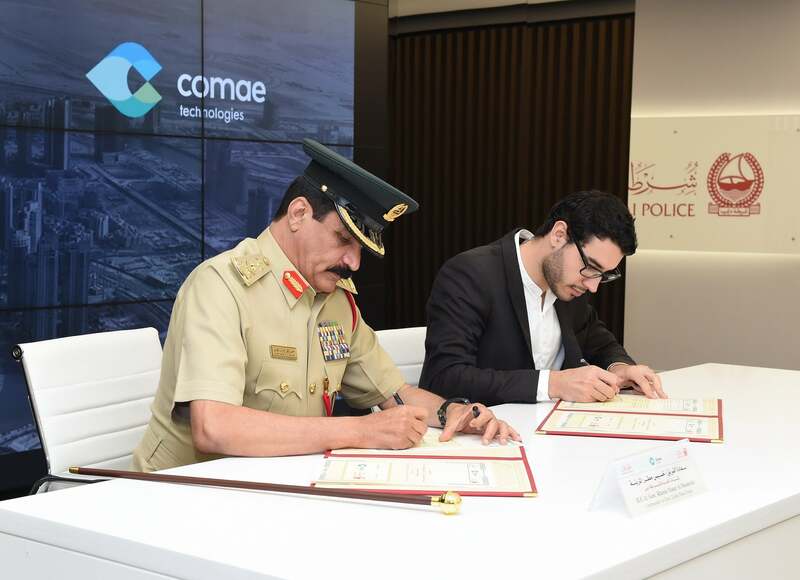 Comae Technologies entering into a MoU with the Dubai Police.Image credit: Comae Technologies. Entrepreneurs working on new solutions for safety of cyber space often face hurdles associated with a dense and saturated market, making it difficult for startups to capture industry or investor interest. According to a 2016 CB Insights study on investment trends in cyber security, even as five out of the nine “unicorns in cyber security” reached more than US$1 billion valuations in 2015, and though the category is still considered “hot,” funding has since slowed down. The Middle East market is no different, with large investments in this space being rare. However, Suiche believes that given the “ambitions of the country” and tendency to rapidly adopt advanced tech, “heavy investment in cyber security including R&D, products and solutions” are likely over the next five years. And will Comae vie for this funding? Suiche says there are no plans to “do any funding rounds at the moment,” and agrees with the view that, while capital is key to develop products, smart money, which comes with investors who are seasoned entrepreneurs and great advisors, is better. 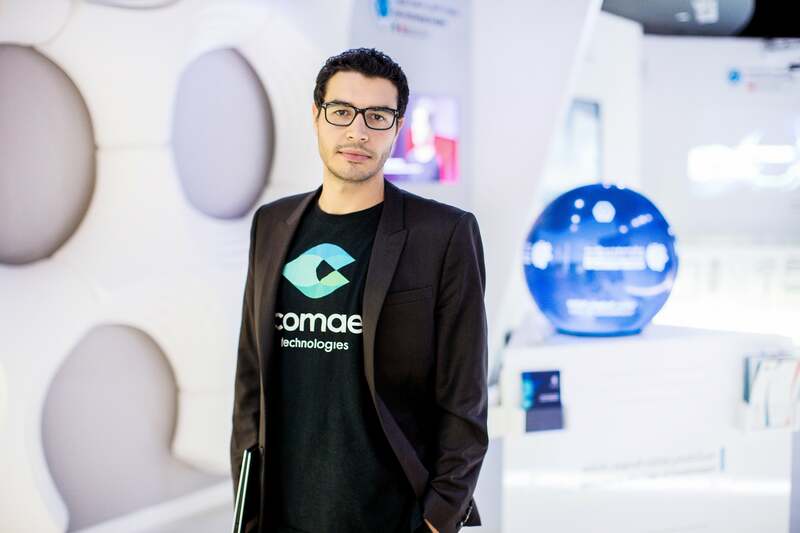 Matt Suiche, founder and MD, Comae Technologies.Image credit: Comae Technologies. What are your tips for entrepreneurs looking to start a business in Dubai? In terms of ecosystem, how would you compare Dubai to San Francisco? What's a MENA-based startup that you think has made a difference to the region?